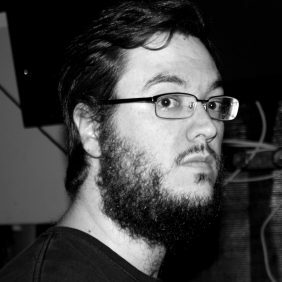 I’m an independent composer and producer from Madrid, Spain, specialized in music for video games and other multimedia products. From my personal studio I’ve been part of diverse projects, which have allowed me to indulge my musical interests and creativity. From video game soundtracks to podcast jingles, rock keyboard parts for bands or international multi-artist tributes, I find it very nurturing to take part in different projects and open myself to as much styles as I can, since it influences directly in my ability to make quality contributions to diverse products. You can browse some of my music and the projects I’ve contributed to in my portfolio. In addition to versatility, I particularly value frequent, sincere and close communication with anybody who choses to work with me. A team lacking communication is doomed to fail, so it’s of vital importance for everyone involved. I also provide other services you can browse in my Services section, but don’t hesitate to ask if you need any other custom music. You can do so in my Contact page. From time to time, I also take part in game jams. I find making music in such a short period of time very interesting and fun. If you need a composer for a game jam you can ask me if I’m available.